Founded in 1979, TICA (The International Cat Association) is the world's largest genetic registry of pedigreed cats. 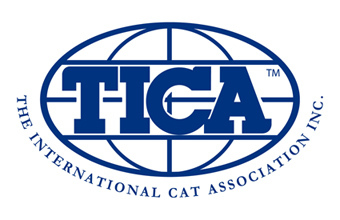 Through its chartered clubs, TICA licenses cat shows world-wide which promote both pedigreed and non-pedigreed cats in a professional manner and are enjoyable and educational for exhibitors, judges and the general public. TICA encourages its members to be caring, responsible owners and breeders of cats who work together to promote the preservation of pedigreed cats and the health and welfare of all domestic cats. The first TICA show in the UK was held in Dec 2004. Since that first step, interest in TICA's unique and exciting show format has grown rapidly, and there are now 9 active TICA clubs, with approximately 15 cat shows held per year. TICA also offers a Junior Exhibitor programme for youngsters who want to learn about cats and their care. After a couple of years of pilot programmes in the US , in September 2009 it became formally recognised as a TICA-wide programme.